I discovered Simone St James by happenstance this month. 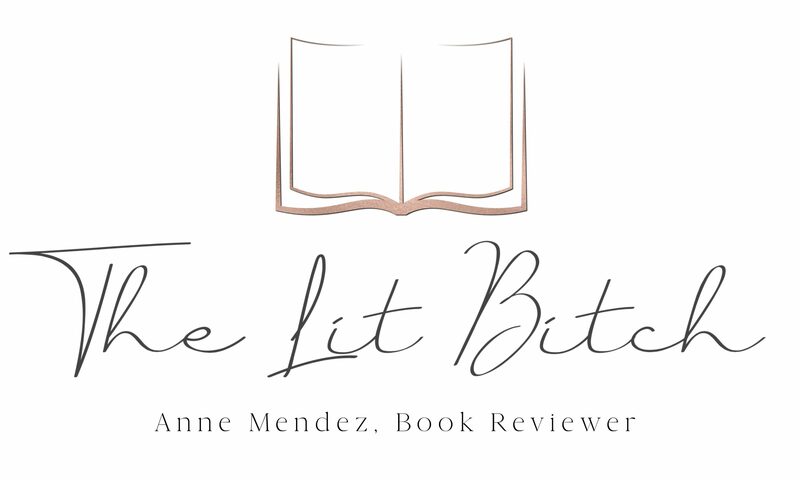 I have her latest novel The Broken Girls to review in March–side note, order this book now, it’s fantastic. After reading The Broken Girls, I was so in love with her prose and style, that I picked up all of her novels to read as soon as possible! 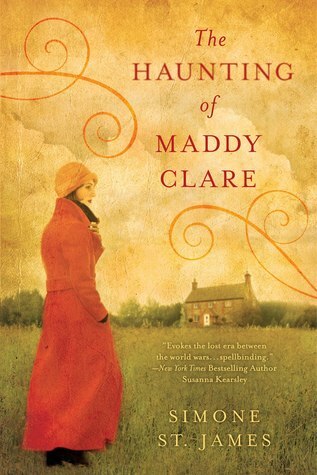 The first one to come into my library was The Haunting of Maddy Clare so I picked it up and almost read it in one sitting because it was that good! Sarah Piper’s lonely, threadbare existence changes when her temporary agency sends her to assist a ghost hunter. Alistair Gellis-rich, handsome, scarred by World War I, and obsessed with ghosts- has been summoned to investigate the spirit of nineteen-year-old maid Maddy Clare, who is haunting the barn where she committed suicide. Since Maddy hated men in life, it is Sarah’s task to confront her in death. Soon Sarah is caught up in a deperate struggle. For Maddy’s ghost is real, she’s angry, and she has powers that defy all reason. Can Sarah and Alistair’s assistant, the rough, unsettling Matthew Ryder, discover who Maddy was, whereshe came from, and what is driving her desire for vengeance-before she destroys them all? (summary from Goodreads). This book was much different than The Broken Girls but the style and haunting plot were what I expected from St James. This time around, the ghost was much more malevolent and aggressive than I was expecting. I was literally jumping at every round while reading. It was fantastic. I don’t read a lot of ghost stories–or any really–because I like being able to sleep. This book while completely creepy, wasn’t so creepy that it turned me off, in fact it added a lot to the novel and propelled the story forward. There was this kind of omnipresence thanks t the ghost of Maddy Clare and I was completely engrossed from the beginning. This book kind of reminded me of a historical version of the film, Stir of Echos. Just the right amount of creepy without becoming a horror story. All ghost hauntings aside, there are a couple of different plot points that intercept within the story. There is a romance between Sarah and Matthew that I found beautiful and so perfect for this kind of story. It wasn’t the pretty and jolly romancing that’s so popular in other historic mysteries, but more dark, gritty and messy. I thought it worked so well against the backdrop of the post WWI era and I simply LOVED it. The imperfection of their love story was refreshing and tender in its own way. Having a neat, happy romance within a ghost/gothic story in post WWI (with a former soldier) would have been unrealistic. The romance was haunting, hot, and yet oddly dark. While I wasn’t a huge fan of Matthew in the beginning, by the end I was hoping they would find a way to be together. I ended up LOVING their romance and eagerly waiting for more romance in each chapter–for me their story stole much of the show. This book reminded me of a modern day Victoria Holt novel. Suspense, heavily on the Gothic side, and a tormented lover–the thing that set this novel apart from Victoria Holt was the time period and the steamier romance as well as the very real ghost. I loved how the ghost played into the story making it so wonderfully gothic and scary. Sure this novel had some predictability about it but what pushed me forward was the why. Why was this happening. What was the motive. Why Maddy Clare. I loved finding out the reasons, I didn’t care that the suspect was obvious–sometimes the reasons why are more chilling than the crime itself. If you love gothic lit and ghost stories but don’t want to read horror, this is a fantastic mix of historical fiction, mysteries, romance, and ghosts. I loved this book on so many levels. I can’t wait for the rest of her books to come into my library so I can binge read them all. This was a quick read and I guarantee that when it’s over you are going to want more Simone St James books! Another great review. This is a new Author for me but I’ll be definitely reading this book. My sister read Victoria Holt years back.